A correctional officer’s performance may be impaired by the programmatic desensitization of their workplace. Inappropriately, public institutions systematically incapacitate the humanistic qualities of their frontline workers by removing emotive stimuli and promoting conformism to bureaucratically rational dogma. Programmatic desensitization may have a serious undesirable outcome on frontline workers’ discretionary decision making within the face of work dilemmas. The frontline worker’s discretion requires a full contextual and decisional recognition that goes beyond the bureaucratic expectations. The recognition of a decision model with this level of detail offers an inclusion of individualized logic. Contrary to the narrowing view of bureaucratic professionalism, the individualized logic of street-level bureaucrats should contain a vocational metacognition that provides a more human recognition of the socio-cultural totality to ecological evidence. 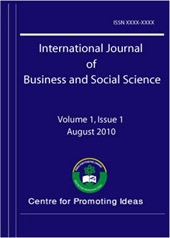 Using a concern for the desensitization of frontline discretion as a point of departure, this paper presents a preliminary decisional framing of intellect that is based upon notions of institutional individualism (form), individual identity (perspective), along with the habituated and contextualized dispositional knowledge (awareness).